The Value of a Human Life? by Paul Biebel, Founder and President, Prudent Living, Inc.
There’s a sadness to one side of the story in that we are forcing ourselves away from the kind of “general practitioning” that helps to keep costs down; especially with “day work.” For example, there was a time when I could remove some sheetrock and studs, move some plumbing and a little bit of wiring, add a light and a switch, reinstall some framing and sheetrock, install a shower with the faucets and drains, tape the sheetrock and paint it, and finish a small bathroom remodeling job by laying the new flooring on my way out the door; all in two days. Our clients liked that a lot, but “Not anymore!” Because of codes and regulations, a small project like that would take at least two weeks longer and likely double or triple the cost. By law, we can’t even think about saving a poor widow some money by doing all the work ourselves. I must admit that when I consider building codes – a topic that comes up regularly in our line of work – it feels like a “Catch 22.” We want homes that are both affordable and safe but we’ve taught ourselves that only specialists can do the work of each trade and that any violation of a code can be grounds for litigation, large fines and criminal prosecution. So the code of the day is the rule of the day and we simply back off with our own opinions and comply. Affordability is always a primary concern for the customer and compliance with code requirements is usually the culprit when killing a job prospect. When discussing options and the ramification of additional cost to bring something up to current code, the conversation often ends with the question from a code enforcer, “What is the value of a human life?” It’s a good question to which there’s no good answer in today’s relativistic climate. For example, we might hear of some exorbitantly high payment resulting from a wrongful death lawsuit of a famous person, while we hear little more than a whimper of sympathy for a homeless person who froze to death in some back alley in Boston. Nonetheless, during my lengthy career as a General Contractor, I’ve heard this unanswerable question asked more than any other; not just from my clients. Sometimes, when it’s being asked, it even sounds like an accusation coming from skeptical zoning board members or local residents, whose implication is that I just want to line my own pockets at the risk of others. Ironically, even as I listen to orations by these so-called concerned citizens, I’m reminded that the homes they inhabit were “grandfathered in” when these codes were passed; therefore, exempt from them. It doesn’t occur to them that when they apply their same logic to their own situation, their not-to-code home has severely reduced the value of their own life in comparison to others who inhabit a brand new and compliant home just across the street from them. I am often asked, “Why are there so many codes? Who thinks some of this stuff up and how thick will the code books become before we get it right?” It seems like a reasonable question, because its answer affects another question: “Why do we force people to spend twice as much as they need to in order to comply with the code when most people can’t make ends meet now?” The answer offered is simple, and always the same: “To protect human life.” End of discussion. 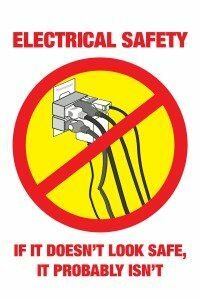 For example, a commonly asked question is, “Why are there so many outlets in a house and why can’t they be more than six feet from any other outlet in a house?” Answer: “To minimize the number of extension cords, because one caused a fire somewhere.” Or, “Why are so many expensive ground fault breakers required?” Answer: “To eliminate risk of deadly shock because there are so many outlets.” Catch 22. So here’s an alternate solution to consider: Why not design a home with rooms that are seventy-one inches square? That might work in China but what about kitchens? In kitchens, the maximum distance from an appliance to an outlet is only two feet. Uh Oh! During several visits to Europe in the 1980s and 1990s, I observed in a fairly new housing development in Germany that there were only two outlets per room By using the number of outlets per room as a baseline formula for determining the value of human life, I determined that the value of human life is much lower in Europe than it is in America, say 50-80 percent lower. I didn’t consult with any Europeans about this mystery, mind you. So I don’t know if it’s true, but knowing how my mind thinks, I realized that this one fact might explain their bloody history. IF ONLY they had more outlets! Thinking I was on to something, I took the matter a notch higher. Perhaps the answer to World Peace is “more outlets!” Could it be that simple? Here’s a true story: A furnace and water heater have been using the same flue for forty years with zero problems. The owner wants to replace the furnace and water heater with high-performance “Energy Star” equipment. Both of them burn significantly less fuel than the old ones. However, there’s a glitch that holds things up. The current code requires that there must be a separate flue for each device when the system is upgraded. There is no place to add a second flue that meets the code. For months, while the owner is living with temporary heaters, a debate continues between building inspectors, the fire chief, the owner’s lawyer, and the owner. ‘Shouldn’t the owner be free to do whatever he wants to do with his own house?” the owner asks. 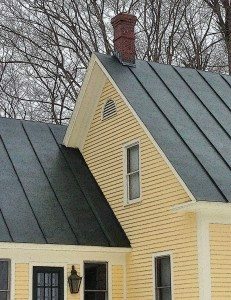 His lawyer says, “No problem, as long as you don’t ever sell it.” The owner says that a new chimney will cost a fortune; twice the cost of a new furnace and water heater. The fire chief, who was just waiting for the question, quickly responds by asking, “What’s the value of a human life?” The building inspector goes by the book. He has to. He can’t violate the rules he must abide by, regardless how much he may wish to do so. When the insurance company becomes aware of the issue, it threatens to cancel the policy on the house if the upgrade is not made according to code. The owner is cornered and when he gets the estimate for complying with code, he dies of heart failure before the issue is resolved. This story is true; except for the dying part. But the truth is that he will die of old age long before he ever sees a return on his energy saving investment. Did somebody also point out that his house was built before 1978 and is loaded with lead paint? Am I condemning all codes? No way. Many “centsible” codes cost nothing to implement and a smart builder knows that codes can be his friend. They protect him and I need all the protection I can get. So I go by the code book. I’ve also learned to refrain from using my own logic and reason when it comes to interpreting codes. When two codes collide, (and this happens a lot) I just choose the stricter of the two and I show no remorse or sympathy to my client. All I can say is that “I must comply.” What’s the point in caring? It hurts too much and when I do, I’m tempted to try to find affordable solutions for them that will probably bend some code somewhere and put me at risk. When the inspector asks, the owner will just point at me and say “He said it was alright!” With all the best intentions and with full concern for my client’s wallet, I used to do that a very long time ago but I don’t any more. I have learned to value that piece of paper in my file that says my work has been inspected and found to be in compliance. Besides, I hate fire, carbon monoxide, and people falling down stairs, as much as anyone. (No matter whose fault it is.) Somewhere out there in “code-land,” somebody is sitting in a room with a codebook and he’s already editing it and updating it and making it thicker so we have to keep purchasing them. When he gets bored with one category of codes, he’ll pick up another one and play some more. If you asked me how much I value human life I’d say that if my child needed medical treatment that would cost $20,000, or $200,000, or $2,000,000, I would do it, without a second thought, even if I didn’t have the money or the insurance. Why? I can’t put a value on the life of my children. That’s because I consider them to be priceless. That I know, for sure. I also know that the making of codes will never end, and although some of them are logical and reasonable and some are not, in the end both the builder and his clients have to live with them, so we might as well make the best of it.